A lack of education had been impeding Shane Martin's ability for years to get stable, decent-paying employment. 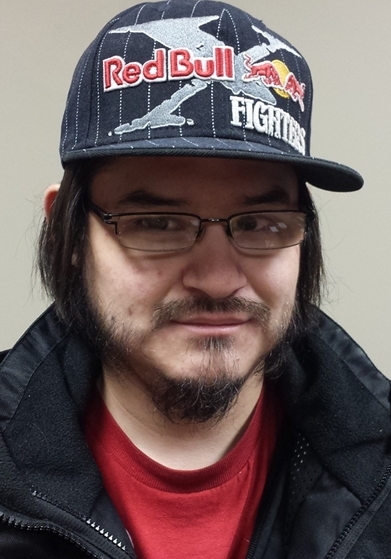 In September 2014, encouraged by a friend, he decided to change his life by earning his Grade 12 diploma through Grand Erie Learning Alternatives. By January 2016, he was well on his way, having completed 10 credits and embarking on a new semester when he will earn the final two. Shane, who has lived on Six Nations of the Grand River and in Tillsonburg, was home schooled. When he set out to work, his education was at about a Grade 6 level. "He felt his lack of high school completion impacted his ability to attain a position," said Erin Alonzo of St. Leonard's Community Services, who nominated him as an Education Champion. He was referred through St. Leonard's to the Brant Skills Centre and Grand Erie Learning Alternatives. Shane, now 28, said returning to school was difficult at first, with his English courses being a particular struggle. But he's had lots of support. "I have a really good friend showing me where to go get help." Erin said that through furthering his education, Shane's "confidence has dramatically increased and he has a sense of direction towards completing his goals." When he started classes, Shane was under significant stress about how he would financially support himself. With help from staff at Ontario Works, he was able to secure funding through the Ontario Disability Support Program. A regular rider of Brantford Transit, Shane has become interested in the workings of bus mechanics and may pursue that field at a post-secondary level. "Since I moved to Brantford I ride the buses all the time and I'm interested in how they're made." Erin said Shane has demonstrated the strength and determination to make difficult choices "to open new doors." "He is now looking forward to undertaking further education/training to work in the trades."